After traveling through parts of the beautiful Philippines and working as a volunteer for German Doctors it was time to move on with my journey. I needed a break and I wanted to explore more of this wonderful world we live in. The for me interesting part about traveling is, to figure things out when I arrive at a new destination. Talking to people, getting insider tips, walking aimlessly around and getting lost. I want to let go of the need to control my own life too much (a typical german thing I guess), I want to enjoy and I want to be more happy, go out and smile! One doesn’t has a feeling for the place yet… BUT, the not exactly knowing, where I gonna end up in the next hour, next day or next week, what am I gonna do, whom I gonna meet, that’s EXCITING! And I lost time :) never knowing what date or what day it is feels great, gives me the freedom to make spontaneous decisions and be happy with it, because nothing and nobody ‘forces‘ me into something. I am the one who is responsible for my happiness and nobody else! Staying in Hostels (yes I am not a flashpacker) makes it easy, because I meet a lot of people, some become new friends, some just stay in my life for a short time. But what everybody has in common is the fact, that everybody has stories to tell about places they have been, things they have done, places they wanna go next and with some I traveled together (thanks for an awesome time Mark and Nadine) for a while till our ways parted again. At the end, I added a lot of thing onto my list and seldom I threw things off … did I actually take something off my ‘list ‘ ???? hmmm … ahhhh yes I did, be patient I will tell you in a bit. My flight was booked into Kota Kinabalu, Sabah, Malaysian part of Borneo. (I didn’t know Borneo has also an Indonesian part :) now I do – sadly I didn’t find the time to go there too. (Maybe I need to write a list with the things I missed while traveling and do it later). Back to the 10 things to do in Borneo.. I am loosing track here sorry guys :))). This is based on my personal experience and opinion and for sure not a complete list of things to do, its not a guide book after all :) and as for every place – One can’t do everything, one likes it the other doesn’t. And if one has enough then it’s time to move on to the next place. I only stayed there for a couple of days. In my opinion there is not a lot to do there. 2 to 3 days are enough and there are so much more beautiful things to do in Borneo, just waiting for you! KK (short for Kota Kinabalu) has an Observation Point up the hill .. hmmmm why? I honestly don’t have any idea! The view didn’t impress me, but hey maybe its different with you! DON’T miss the Night Market in KK though :))) yummy fresh veggies and fruits and if you are a lover of seafood then I beg you to GO there. For about 2-6 Euro you can expect a seafood feast! And for the fruits .. If you like, try all the never-seen-it-before-in-my-life- things, which you don’t get back home,and most probably, like in my case, will forget the names again very very soon .. except they are so delicious like Mangosteens, Rambutan and Lanzones YUMMMMYYYY! I love snorkeling, but this was really disappointing for me. Sipa is definitely overrated and there are much nicer places to snorkel in Borneo, I will tell you later. Sipa was a snorkeling trip with a lot of tourists and a buffet style lunch which wasn’t even good. The corals over there are dead and there are not much fishes to see. I wouldn’t spend the money again, don’t go there! Go and check point 5. 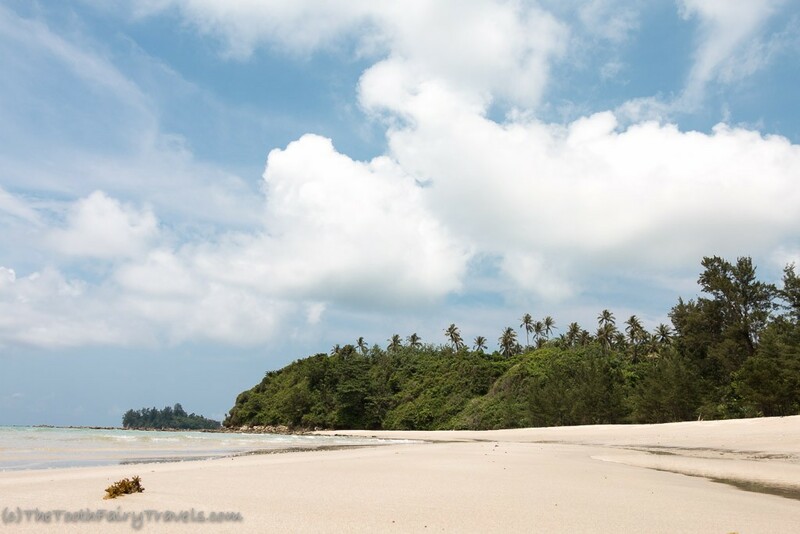 Kudat is the tip of Borneo and a place you should really go to, if you like beautiful beach and the jungle at the same time. I stayed at Tampat Do Aman (CHECK THERE HOMEPAGE :) , a longhouse which is eco-friendly run by a British guy named Howard. Don’t miss this, because it is a very special experience. Howard takes great care of his guests and the place. There is even an education centre for school classes and everybody who is interested to learn about the animals and plants of the jungle can check it out as well as the Rungus Museum which shows you a lot about the history of the people of this area. I went on a jungle trek with him and he knows nearly everything about the plants and what benefits or not they have! After about half an hour in, it started to rain heavily and we all got soaked wet, but it was still great fun to walk through the rainforest … smell and see so many things! Howard takes his guests with his pick up truck to the restaurant at the beach (about 3.5km away from the longhouse) where one can have breakfast, lunch and dinner (yummy by the way) or just relax at the beach. It’s really beautiful and deserted too … you will love it I promise! If you go there, one advise, take some insect repellent, the mosquitos love the place too. 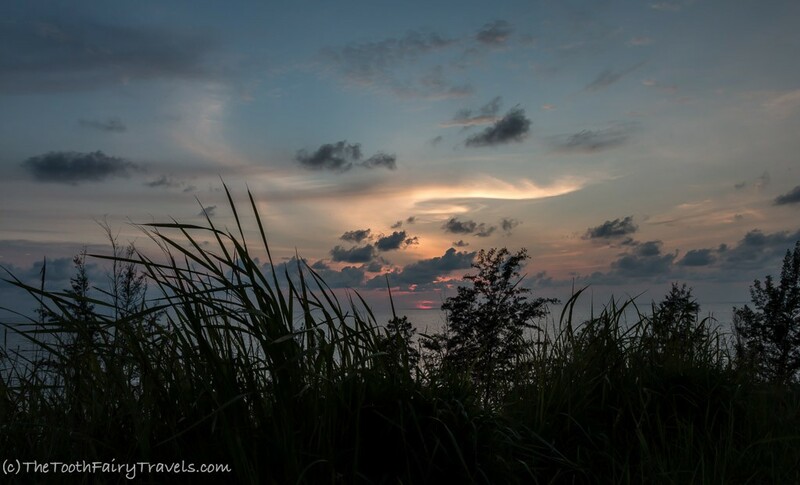 Don’t forget to watch the sunset directly at the Tip of Borneo :) did I tell you that I love sunsets?! You can also go on snorkeling trips, go surfing if its season and the waves are big enough, rent a bicycle or go on a tour through the mangroves. 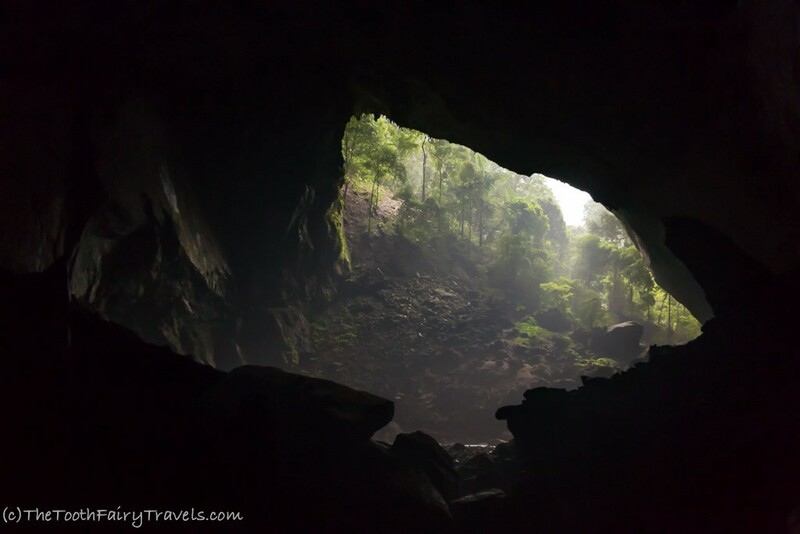 who goes to Borneo should definitely add Sepilok on the list of 10 things to do in Borneo. In Sepilok I went to the Orangutan – Sanctuary where they take care of Orangutans which had troubles surviving in the wild by themselves for different reasons. 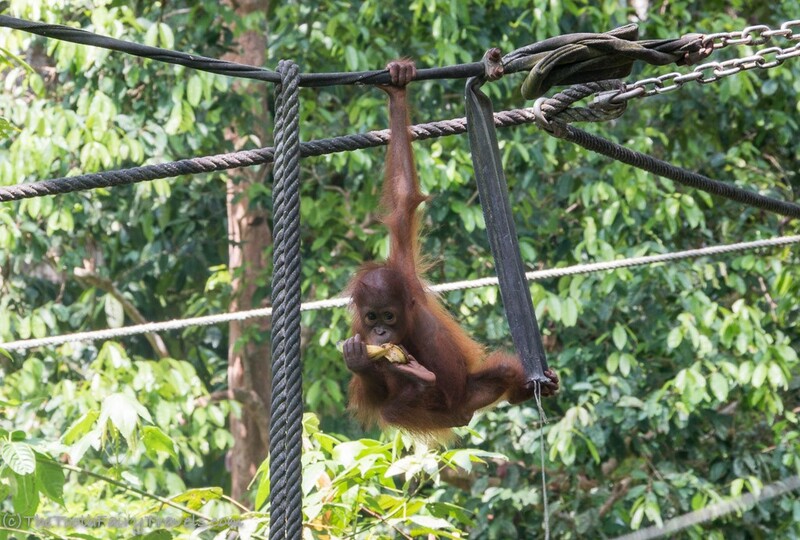 For example baby-orangutans being separated from their moms or Orangutans who have been injured. They slowly release them back into the wild. Some of them though come back to a feeding platform if they don’t find enough food. That gave me the chance to watch those gorgeous animals in their natural habitat. 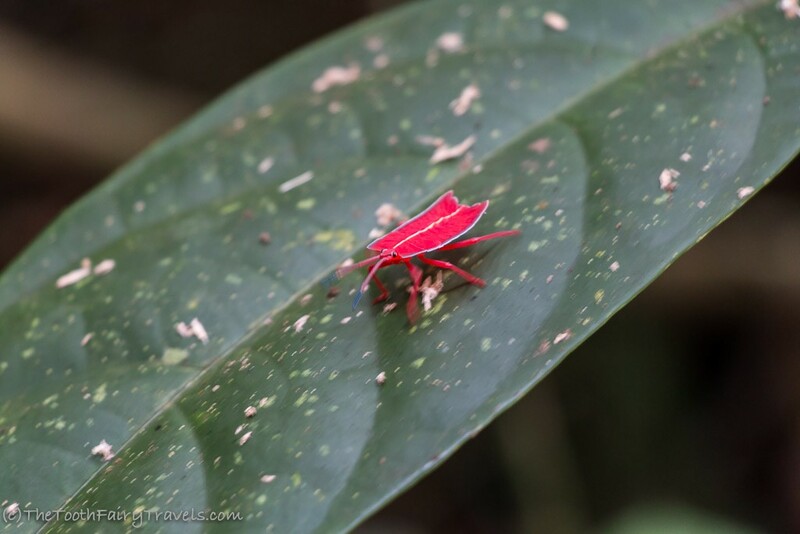 The second thing to do in Sepilok is to go to the Rainforest Discovery Center (RDC). The RDC is amazing. 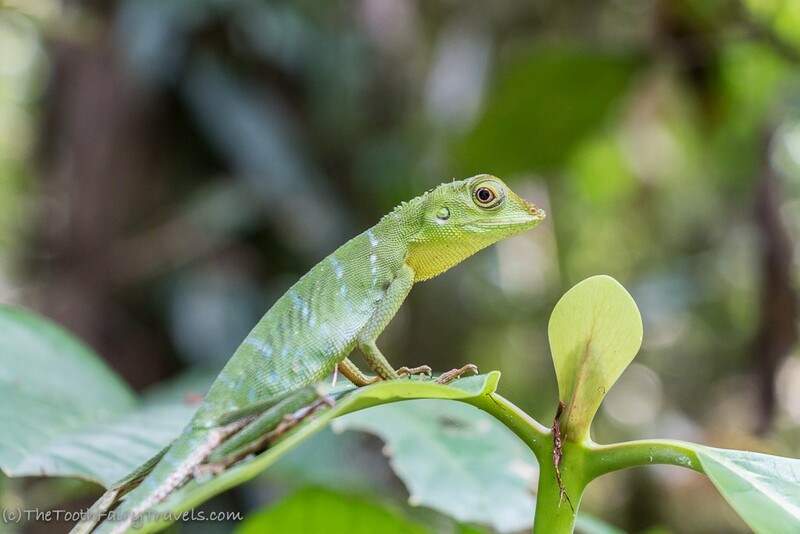 I went onto a canopy walk about 15 meters above the ground and I saw all kinds of animals there…. 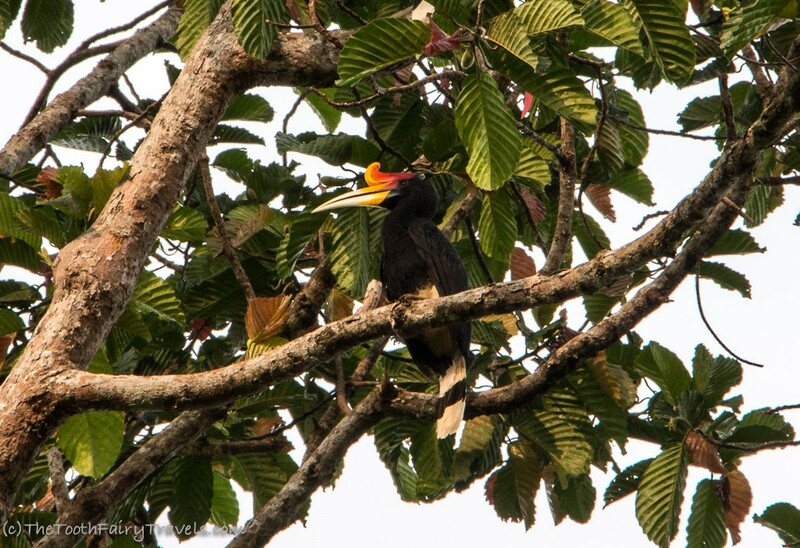 the rhinoceros hornbill for example or a green viper .. be careful … they are deadly poisonous!!! awww how I loved it to be there. The boat cruises one can do are a bit pricey but totally worth to go there!!! In the package I booked were 3 cruises included. One in the afternoon, one at night and one the next morning. 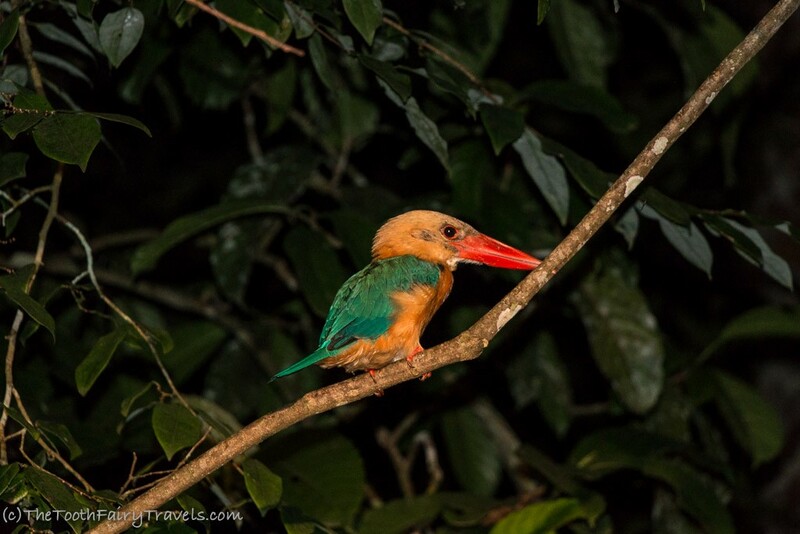 Going by boat through the jungle is amazing.The guides are great at spotting all kinds of animals even at night time. 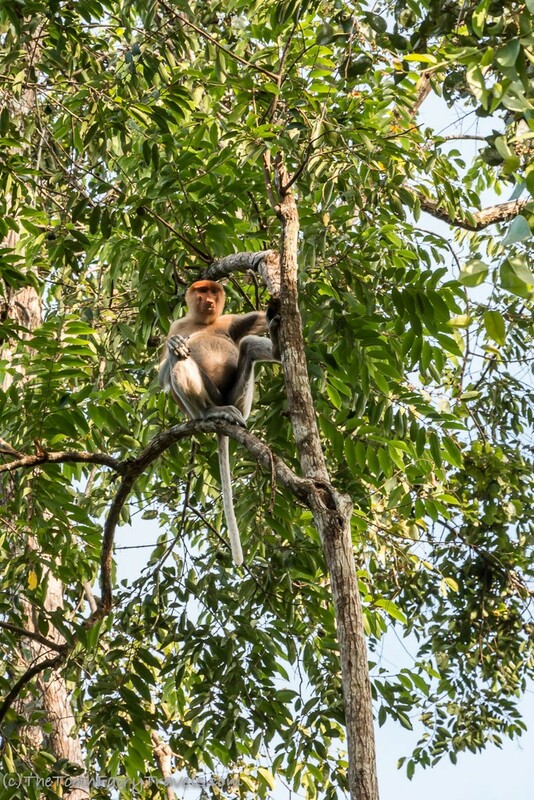 I saw Orangutans in the wild, Pythons, Rhinoceros Hornbills, Kingfisher, Long-Tail Macaques, Proboscis Monkeys, Fire-flies, wild cats , lizards and owls … you name it! I especially loved the night tour. At the beginning it’s a bit scary being in the dark at a river. It’s somehow surreal, bizarre and mystic. 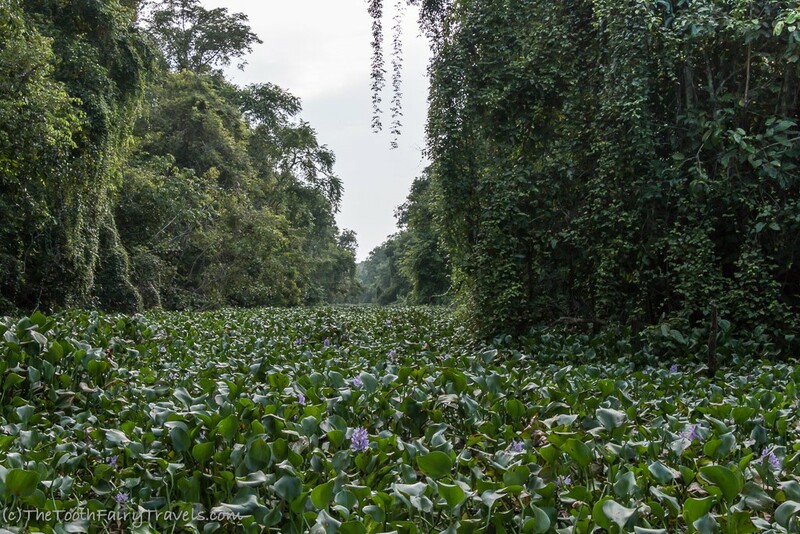 When the boats man switched off the engine and the light I could see billions of stars and I listened to the sound of the jungle surrounding me … wow … that gave me the goose-bumps. Enjoying that moment out there … I will definitely never forget that feeling. Located at the south east part of Borneo this is a paradise for diver and snorkeler like me. Semporna itself has not a lot to offer.. tiny little dirty town where I stayed in Scuba Junkies and from there I went on day trips to the beautiful islands of Borneo. If you are a big fan of seafood go to a restaurant at the water front – Mama’s Seafood. YUMMMMMMMMYYYY and very reasonable priced. The first island I visited was a tiny one named Sibuan Island with just a handful of people living on it – awwwww I will never forget the first moment I played eyes on it. Snorkeling there is great, beautiful corals and if you are lucky one can also see turtles. On another snorkeling trip I went to Kapalai and Mabul. Kapalai is actually not an island but a resort on stilts with a house reef right in fron of it. Near Mabul Island I also had the chance to see Sting-Rays while snorkeling. Mount Kinabalu … everybody who is been in Borneo will tell you to put it on the 10 things to do in Borneo list and go for some hikes (summit was still closed as I was there because of an earthquake a couple of weeks back)….. so I went there and I was in very bad luck. It was raining like crazy and foggy and freezing cold and I wasn’t even able to see the tip of it and we are talking about a mountain which is 4.095 meters high, highest mountain of Malaysia!!!!! I decided to stay one night there, slept with 3 blankets and socks on and wished I had grannies wollen socks with me. But also the next day the weather was terrible and there was no chance for me to go on hikes. :( maybe another time then! Miri, a town, one hour flight south of Kota Kinabalu. Miri is mainly used as a hub to go to the next amazing part of Borneo coming up in a bit, but its very charming to walk around, have good food or relax in a park. 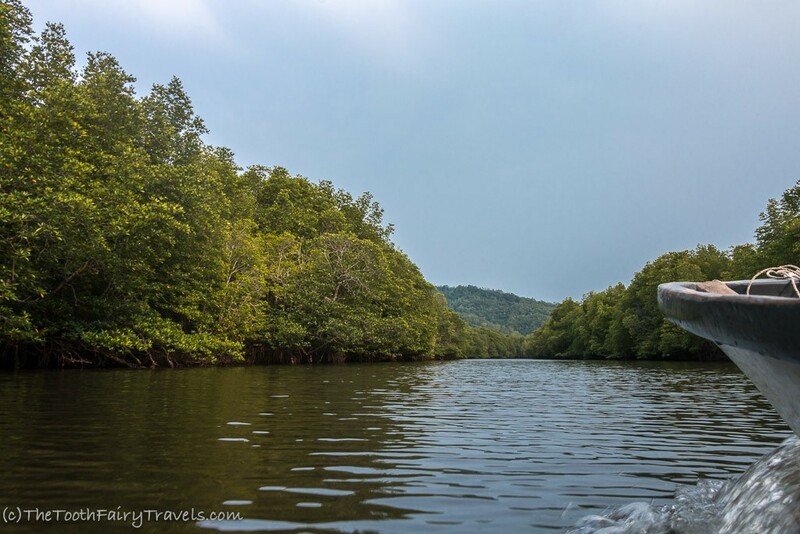 to get to Mulu National Park one needs to fly, there is no other way to get there. As I was flying over there my flight was delayed and after finally leaving and flying to Mulu in an nearly empty plane. we needed to return, because of haze … no chance to land. The second attempt 2 hours later was successful though. Yeahhh :) and another yeahhhhh for being offline for a couple of days! Try it every now and then and you will realize it’s not as important to be in touch with the rest of the world on a daily basis. 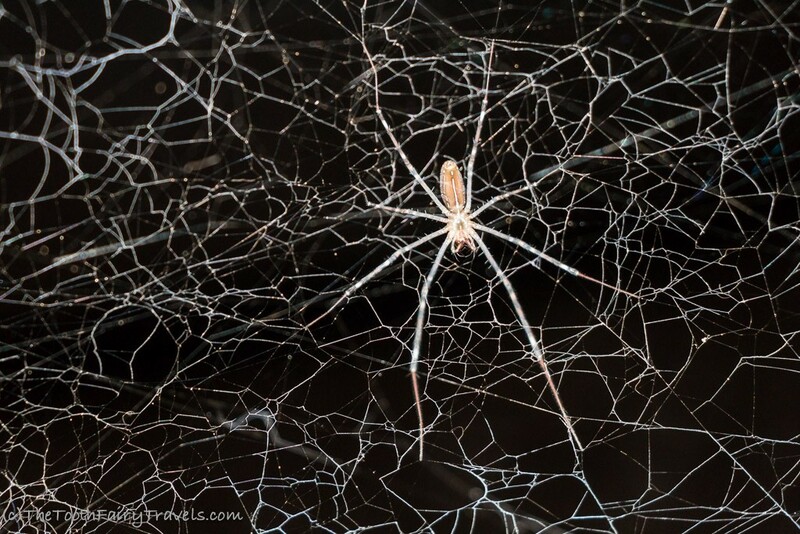 To just enjoy the nature and the beauty of Mulu National Park is a MUST do in Borneo. I stayed in a lovely homestay – D’Cave Homestay – run by Dina and her husband :))) highly recommended. They make your stay very pleasant and Dina is always into Karaoke! 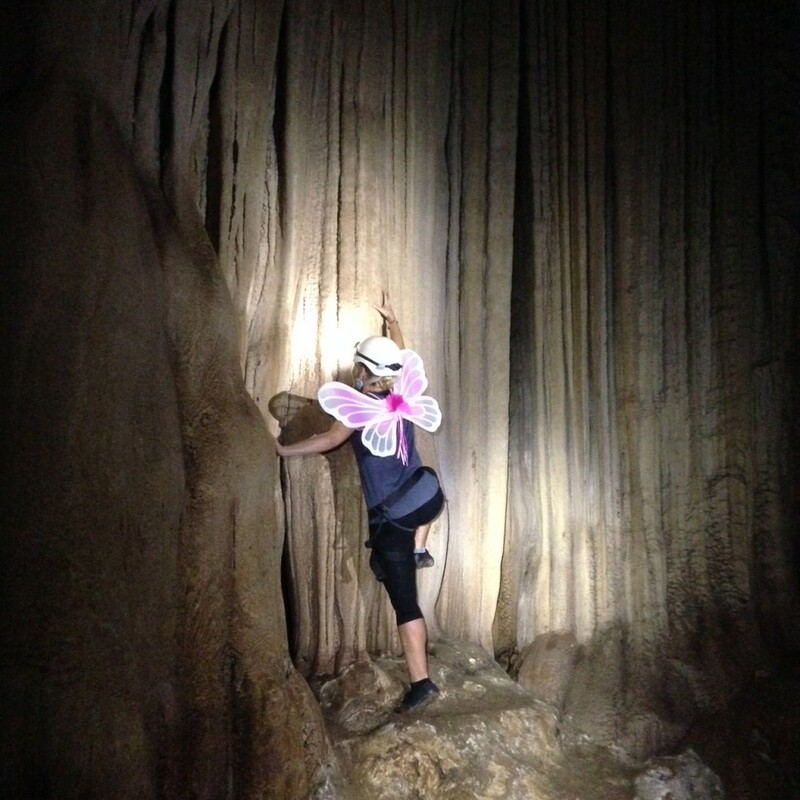 on different trails and did also some adventure caving (Racer-Cave), saw the beautiful Langs-Cave, watched millions of bats fly out the Deer-Cave (exodus of bats) during sunset!!! WOW!!! 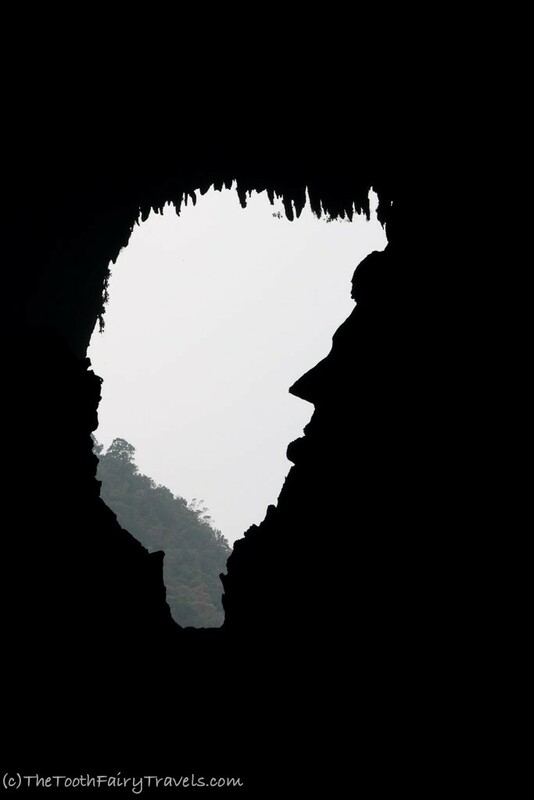 The caving you should book in advance, check their homepage. Some advanced caves require a qualification which means you need to do a beginners cave first to be allowed on a advanced caving tour! It is really adventurous to do it. I was flashed doing some caving, loved it to climb in a cave being strapped in a harness. At the end of the cave we switched our head lamps off … that was spooky … pitch black and no matter how long you wait for your eyes to adjust … there is nothing apart from darkness and all your other senses are awake. AWESOME! 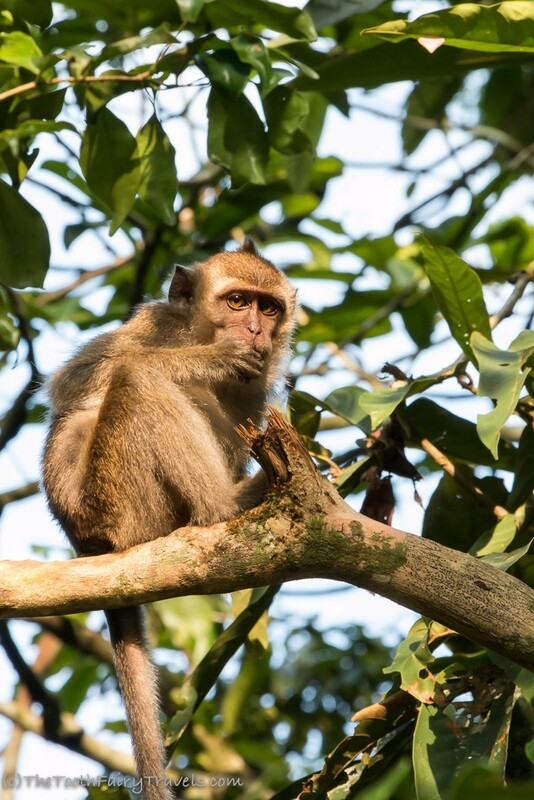 Gunung Mulu Nationalpark offers a lot of different trails and when I went on some of them, I saw all kinds of animals I didn’t even know they exist. A twin barrel tree snack, green crusted lizard, stick insect, lantern bug, spiders, huge butterflies, clue worms (in the caves), mili-pedes, centipedes … you name it! Near Kota Kinabalu one has also the opportunity to go white water rafting. 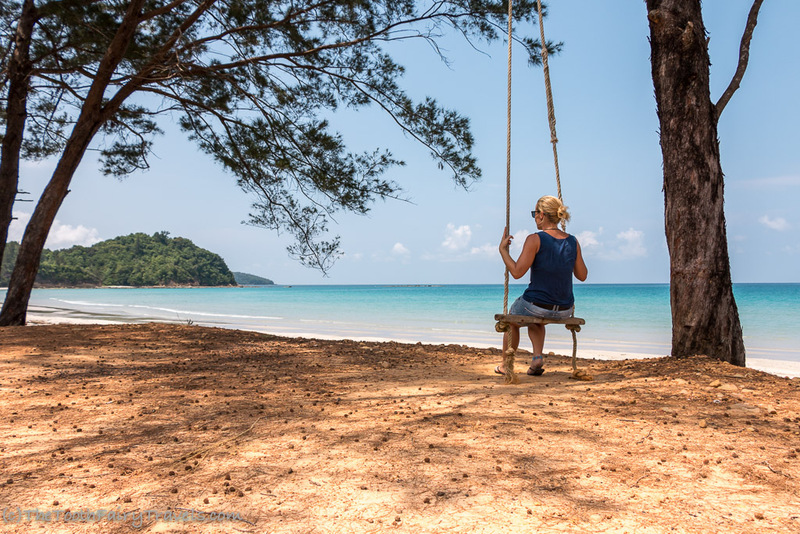 there are so many different National-Parks in Borneo … even though I skipped them, I would highly recommend to go there, if one is up for adventure, pure nature, hiking, camping. 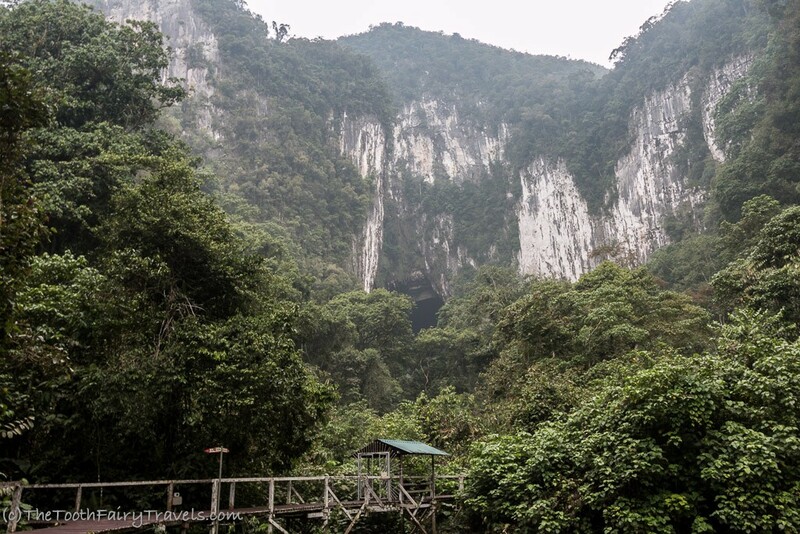 For example the Kubah Nationalpark near Kuching (in Sarawak – east part of Borneo), Gunung Gading (Sarawak) and not to forget Baku-Nationalpark (Sarawak) or Danum Valley in the north-east part of Sabah – Borneo. Bario called the capital of the highlands, is another place I missed (only to reach by plane as well). Check the pictures online and I am sure you will fall in love. 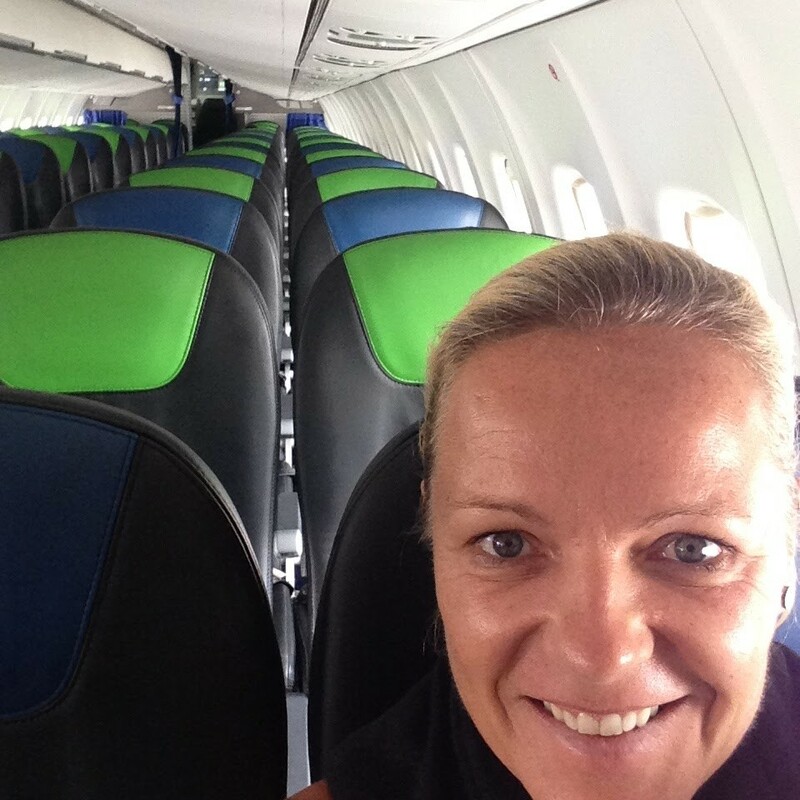 As for me… I am in love with Borneo (seems I am falling in love with every country I travel lol) …. I enjoyed every single second of my nearly 1 month stay and I hope, I will return at some point of my life to be back in the surroundings of this beautiful nature. For more pictures check to gallery by clicking on this picture. I hope you like them! Thx Shayne :) happy if you like it! there are some really stunning places in the world and to get the chance to see them is something I am so grateful for! You climbed up the cave so fast!! The photos are brilliant. I am in awe of your journey…..love the way you write…feel like I’m there with you experiencing it! Can’t wait for the next edition and thank you for the insider tips! !